Fred M. Donner est professeur d’histoire médiévale, spécialiste de la période de formation de l’Islam. Il s’est intéressé notamment aux premières conquêtes islamiques. 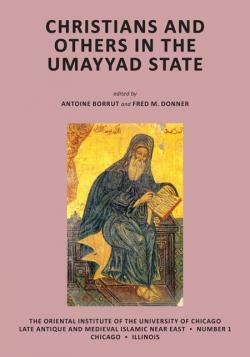 The papers in this first volume of the new Oriental Institute series LAMINE are derived from a conference entitled “Christians, Jews, and Zoroastrians in the Umayyad State,” held at the University of Chicago on June 17–18, 2011. The goal of the conference was to address a simple question : Just what role did non-Muslims play in the operations of the Umayyad state ? It has always been clear that the Umayyad family (r. 41–132/661–750) governed populations in the rapidly expanding empire that were overwhelmingly composed of non-Muslims — mainly Christians, Jews, and Zoroastrians — and the status of those non-Muslim communities under Umayyad rule, and more broadly in early Islam, has been discussed continuously for more than a century. The role of non-Muslims within the Umayyad state has been, however, largely neglected. The eight papers in this volume thus focus on non-Muslims who participated actively in the workings of the Umayyad government. This new Oriental Institute series — Late Antique and Medieval Islamic Near East (LAMINE) — aims to publish a variety of scholarly works, including monographs, edited volumes, critical text editions, translations, studies of corpora of documents — in short, any work that offers a significant contribution to understanding the Near East between roughly 200 and 1000 CE.